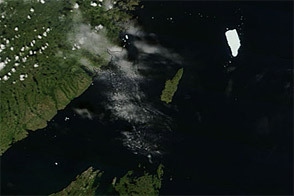 The ice island that calved off the Petermann Glacier in northwestern Greenland on August 5, 2010, was continuing its slow migration down the fjord 11 days later. The Advanced Land Imager (ALI) on NASA’s Earth Observing-1 (EO-1) satellite captured this natural-color image on August 16, 2010. 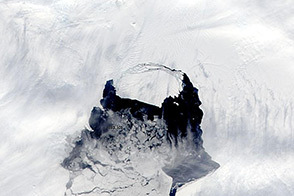 Although slivers of ice have loosened around its edges, the ice island has largely retrained its original shape. 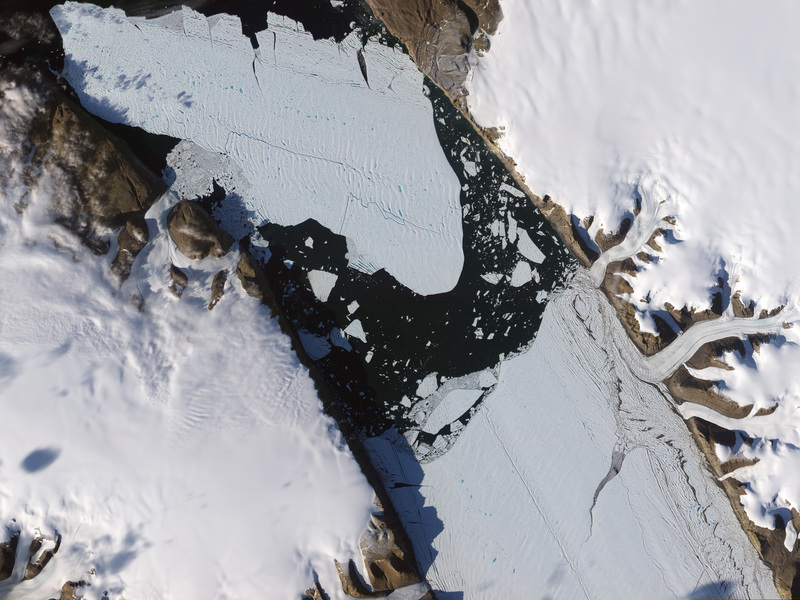 The island, which has rotated counterclockwise since the calving, also retains the crevassed structure of the Petermann Glacier; both the glacier and the ice island sport rippled surfaces. Thin longitudinal cracks appear on the ice island surface, and wider lateral cracks push in from the island’s sides. 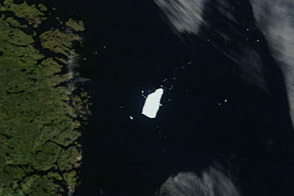 An uneven line of pools, medium blue in color, runs down the length of the ice island. 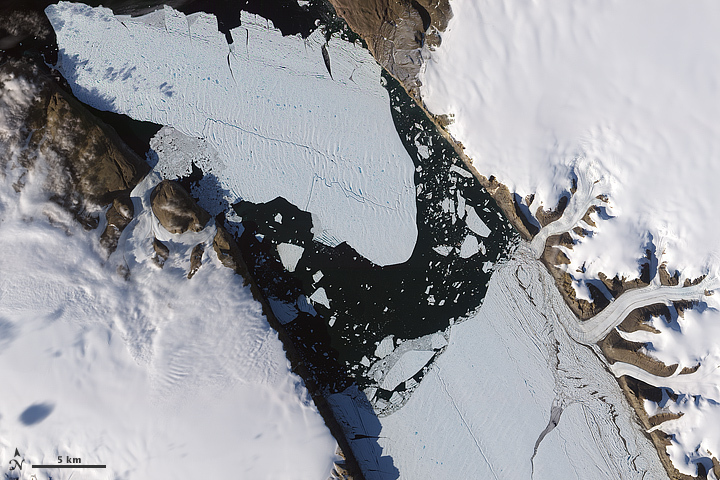 Along the glacier’s new front, some smaller icebergs appear to have broken free, and ice fragments litter the water surface between the ice island and the glacier. Also visible in this image are multiple small glaciers that feed the Petermann, flowing down to the massive glacier from the northeastern side of the fjord. 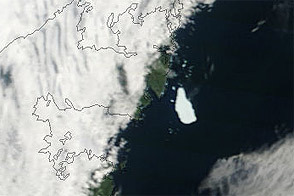 Acquired August 16, 2010, this natural-color image shows the ice island that calved off the Petermann Glacier slowly migrating down the fjord. In early August 2010, a massive ice island calved off Petermann Glacier in northwestern Greenland.